Have you seen Catalog Living? It’s pretty hilarious. The premise is so simple and so genius, I’m disappointed I didn’t think of it myself. 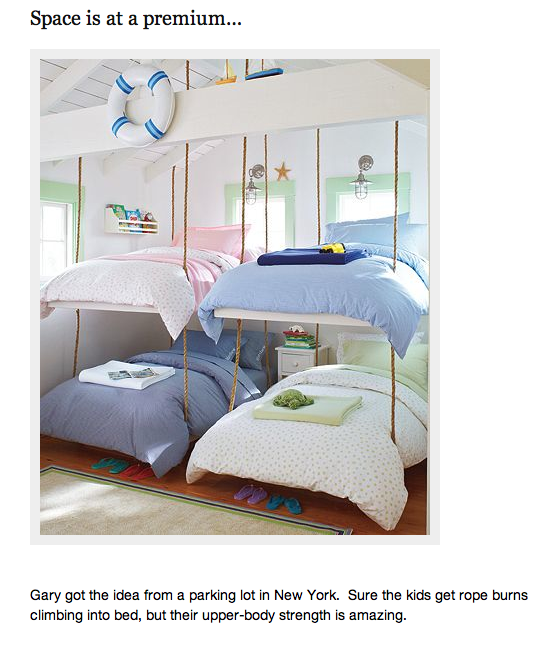 The writer takes images of ridiculously staged rooms from Pottery Barn and other similar catalogs, and gives them appropriate and gut-busting captions about Gary and Elaine, the fictitious homeowners.